Dakota Home Watch of Bismarck, North Dakota, has earned Accredited Member status from the NHWA for the second year. 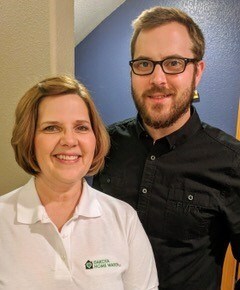 Dakota Home Watch is owned and operated by the mother-and-son team of Tracey and Derek Lockrem, who have been Bismarck residents since 2007. Tracey was born in Regina, Saskatchewan, Canada, and graduated with her Master’s degree in Speech-Language Pathology from Minot State University. She and her husband, Steve, a native of ND, have been married for over 30 years. They have raised three boys and enjoy seven grandkids. After almost 20 years in Western Montana, Steve and Tracey returned home to Bismarck to be closer to family. Tracey has worked in the healthcare field for over 30 years, has a passion for hospitality, and is committed to serving others. Derek was born in Fargo, ND, and grew up in Western Montana. He has his Bachelor’s degree from Montana Bible College and an Associate’s Degree in Graphic Design and Communications from Bismarck State College. Derek has had a knack for customer service from an early age, caring for the needs of his neighbors. With a background in sales, customer service and ministry, he always has his clients’ best interests at heart. Tracey and Derek had been thinking about the need for Home Watch services in North Dakota for some time. Many of their friends are snowbirds who always seemed to be searching for trusted and dependable solutions for the “what ifs” while away. Some were depending on family and friends to watch their homes. In their climate, Tracey and Derek know that can be a challenge both for those who are away and those left in charge. They care about their neighbors and understand the concerns of being away from home. This is the heart of Dakota Home Watch. The NHWA provided the perfect tools and training to meet the growing need in their community. Both Tracey and Derek have earned the designation of NHWA Certified Home Watch Professional. 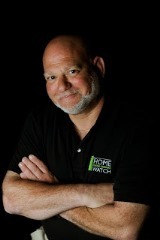 Dakota Home Watch serves Bismarck, Mandan, Lincoln, and the surrounding area. You can reach them at (701) 354-3089 or at DakotaHomeWatch@icloud.com. Learn more at www.DakotaHomeWatch.com.